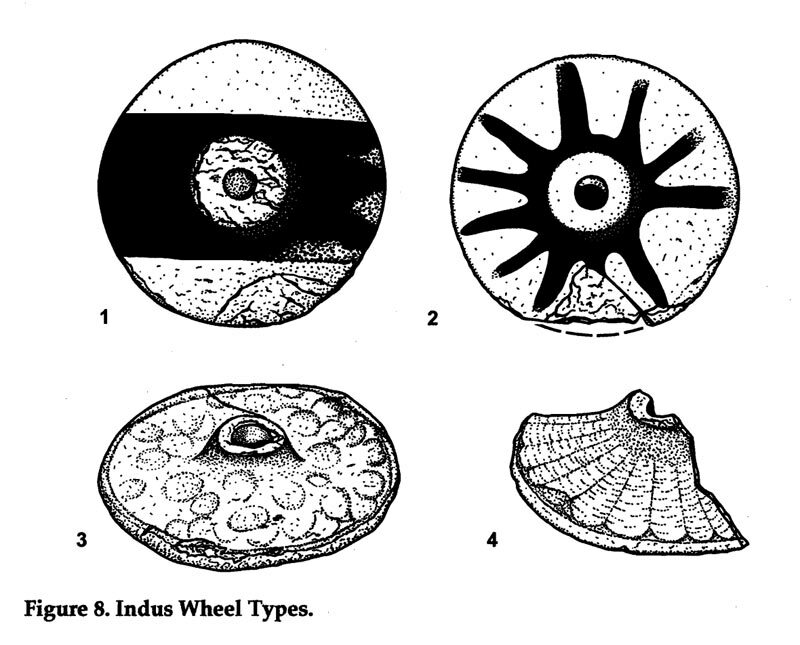 It is hard to underestimate the importance of the wheel to ancient Indus civilization. All indications are that it was an indigenous development, pursued in flat agricultural areas, and probably preceded that other great wheel - pardon the pun - of change, the potter's wheel. 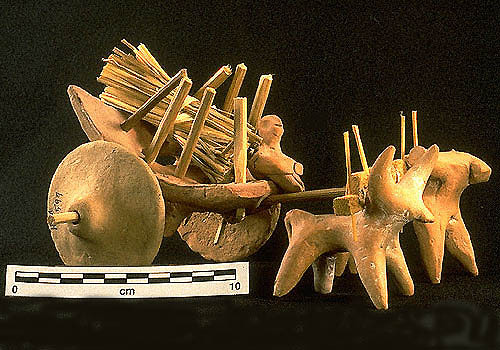 "Discoveries [in the past 20 years] suggest that the earliest wheeled carts of the Indus valley developed in the core areas of the alluvial plain," writes Mark Kenoyer in his comprehensive, fascinating Wheeled Vehicles of the Indus Valley Civilization from the book Wheel and Wagon - Origins of an Innovation. He adds "The long continuity in cart designs of the Indus Valley and the fact that many different types of bullock cart continue to be used even today in Pakistan and India indicate that the original styles of cart were quite effective and that the early designers were able to produce a form that came to be improved upon only with the introduction of ball-bearing axles and rubber tires." He adds that "the quest for Indo-Aryan horse drawn chariots with spoked wheels in the mid- second millennium BC has also overshadowed the obvious evidence of both heavy and light wheeled vehicles pulled by bullocks that were discovered at sites such as Mohenjo--Daro, Harappa and Chanhu-daro over 1000 years earlier than the evidence for horse drawn chariots." The article makes you think about how the principle of rotation altered the world, much as the train transformed Europe in 19th century. 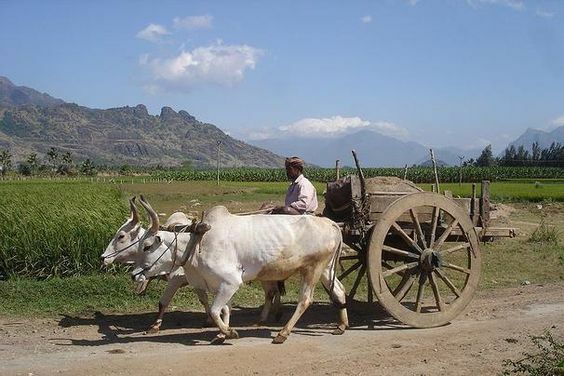 "Needless to say, the use of a bullock cart would have dramatically changed the amount of stone, mud brick or wood that could be carried for short distances across the plain. 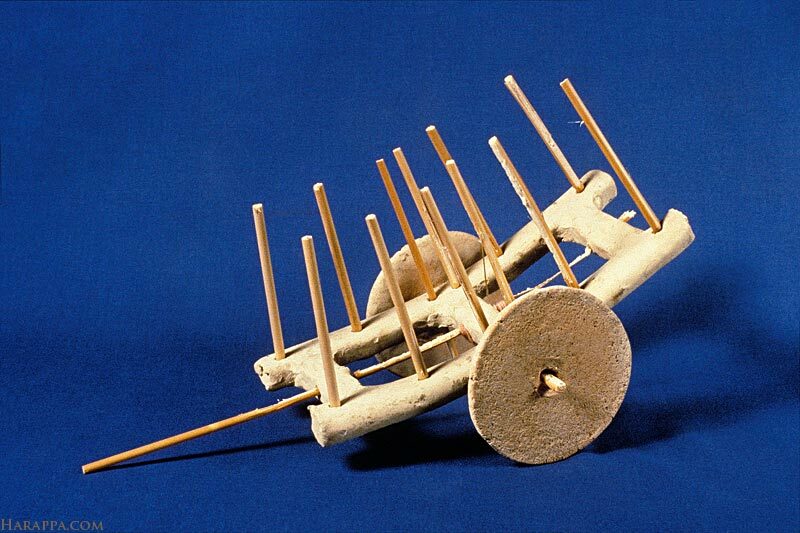 It is not unlikely that the increasing need for these commodities and the need for human transport may have been an important stimulus for the invention and development of specific types of wheeled carts that were introduced in the next major phase at the site," writes Kenoyer. One can only imagine the many efficiencies that would have been created in the nexus between village and city, the transport of people of all ages and in all conditions across ever longer distances, the increased flow of knowledge and practices from one place to another. "I will focus on the early use and gradual development of wheeled vehicles at the site of Harappa, Pakistan, in order to better understand the role of carts in this process of urban development." 2. Ox- or water buffalo-drawn cart with driver from Harappa.